Have had Service only one day, far too early to give meaningful feedback. i had sentricon stations installed and i am very satisfied with my entire experience. mike weber understood what i wanted done and vincent did a through job installing and cleaning up. the price was good compared to other termite companies.all the employees showed up on time and were very focused on what they were doing.i knew what i wanted and they made it happen. We couldn't be happier with Home Paramount! They were friendly, reliable, timely and affordable. Our consultant Mike W. was extremely knowledgeable and friendly. We would highly recommend Home Paramount and will not hesitate to use them again. Home Paramount is awesome!! Winston comes out and does the service on time and is always so pleasant and friendly. Great company and great personnel. I have had Home Paramount off and on for a some time. They are very professional and a nice company to work with. I have had several different technicians. They have always been good people I felt comfortable and safe to have in my home. They were all knowledgable regarding my issues and gave great advice on precautions to implement etc. They have solved several issues over the years. We did find the ants nest and get the Queen....twice over. They come whenever it is convenient for you. Even a Saturday morning. We have nothing but fields and trees behind us. Bug Free living is awesome! Lloyd is excellent. Very professional, informative and considerate. He is a credit to your company. Rasheed is an excellent representative of the company. Personable, pleasant, efficient and timely. The product I’ve purchased is successful at eliminating the ant and all other insects. Professional service always so pleasant and helpful when you call office. We have always been very pleased with the service provided by Brad Wise! Excellent service from our account rep and inspector. We have been very satisfied with our service. Winston is a true professional, very knowledgeable and friendly. Home Paramount handles our 18 buildings throughout the State of Maryland. The excel in scheduling, service and invoicing. Office personnel are professional from top to front line employees! Hi I am satisfied from what I’ve observed thx, J.E. Rob was great! I would highly recommend his personable and efficient service and Home Paramount. the exterminator came right on time and did a great job. i think his name was john? very pleasant and thorough. You come when I call and you take care of the problem. Thank you! Robert J. & Sim M.
Customer friendly service, on time and thorough. 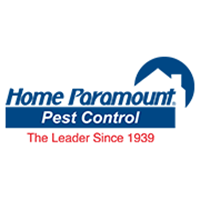 We have been customers with Home Paramount since 2005. They have provided outstanding service, every time! We currently have Winston for our regular service and he is always so thorough, pleasant and helpful. Brad is an awesome spokesmen for your company. He always explains everything very well. Hi yes Brad is very thorough and if I need any think he comes right out Most help full ty eppie forrest. Very Happy with your service. Thank you. Most times, I am not at home when the service is scheduled, it is still preformed. I still see ants holds by the foundation of the house. Thorough and always on time. I don't like bugs (in my home) either. Follow up is very good and reliable. I am happy with my service with Home Paramount. Great people make great business thank you for your services. Rashid has great customer service. He always arrives when promised and willing to listen if we have any issues. Awesome Job!! Brad is very knowledgeable. I’ve been a client for many years, with multiple properties. Great and friendly service! No feed back at the present.